Item#: TF66662 Size: 5 5/8 x 9 1/4"
Ensure immediate attention! 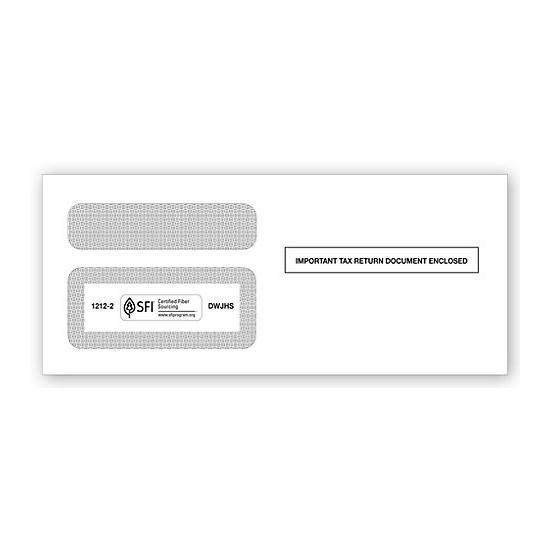 Double-window envelopes come preprinted with the statement "Important Tax Return Document Enclosed". 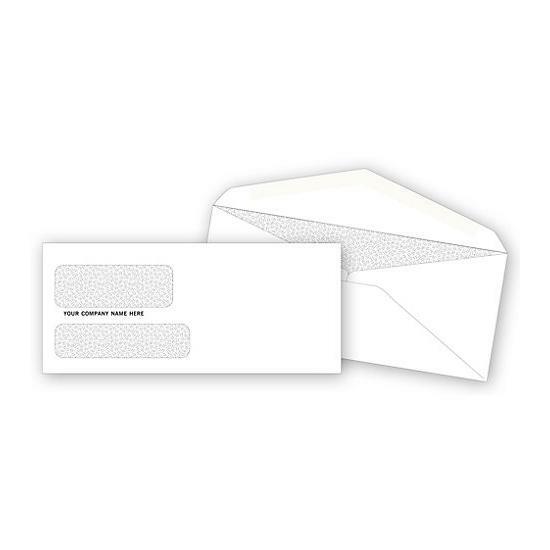 Convenient: Self-seal saves time and makes mailing easier. 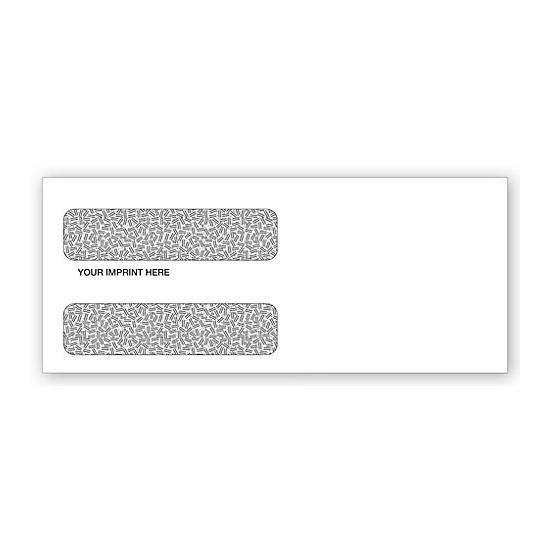 Secure: Printed lining to protect your privacy. 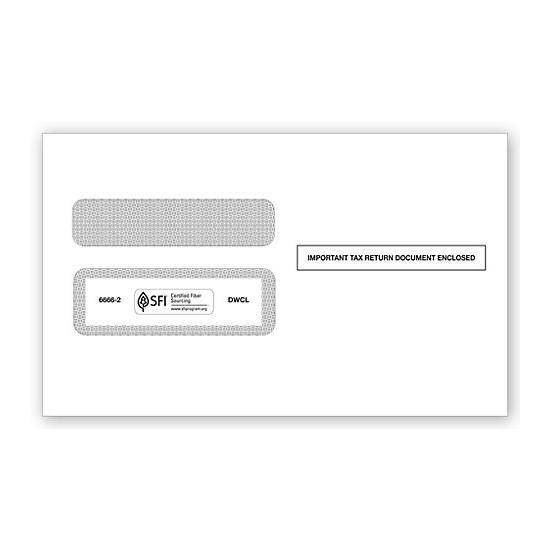 Quality: 24# white wove confidential double-window envelope. Size: 8 7/8" x 3 7/8"